How to inspire people interested in makeup on Roposo? Make up is a weapon which when used right can carve the desired results for any and every woman. The only problem is somehow, most of us, are not wary of the best ways to use it. 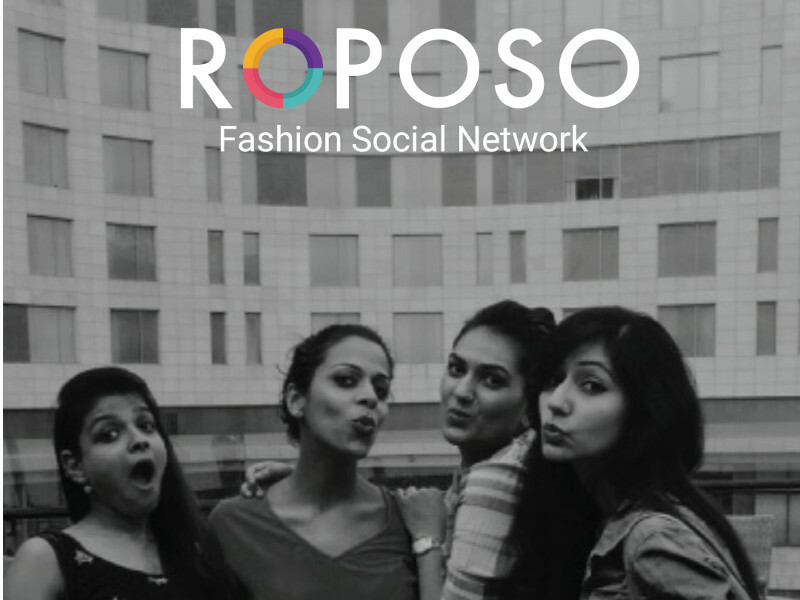 Roposo is a treasure chest for all things fashion and makes it supremely easy for existent and potential divas to up there fashion game. In case that you are looking for something out of the box,beauty tips for women and tutorials to get that new edgy look, you can find all this and much more with Roposo, the site that is revolutionising the way you look and feel. A lot of people consider makeup as an occasional affair. Going for a date, some makeup is due. Best friend’s wedding, pick up those eye shadows. What people don’t realise is, make up is more than just occasional wear. It is a lifestyle and way to uplift the way you present yourself on a daily basis. Spectacular trends have been invading the makeup industry in recent times, and thanks to inspirational makeup artists, more and more women who are interested in makeup are now finding inspiration through Roposo. In case that you are looking for a way to create new makeup looks, or trying to polish your skills, here are a few tips you can surely put up your sleeves. Most women strictly stick to the conventional black when it comes to eye liners. But it will surprise you to learn how different coloured eyeliners can change the whole appearance of your eyes and make them more beautiful. The black eyeliner can often make the eye look smaller. When you use lighter or less deep shades like olive, plum, indigo or brown, you give an instant lift to your eyes. They look bigger, brighter and all the more beautiful. Leading Hollywood makeup artists are known of using these eyeliner shades to accentuate the looks of leading actresses. A number of members of the Roposo community are a huge fan of the wet-grouped- eyelash look, and why should not they be? The wet eye lash look is one of the sexiest look you can opt for. Your lashes look bigger, the grouping gives them volume and they have a natural shine, exactly like, when you come out of the shower. According to makeup experts on Roposo, pour 3 to 4 drops of Visine in your mascara jar and give it a light swirl, to achieve those wet, charismatic lashes, every time you apply it. Roposo is recognised for putting forward easily comprehendible and practicable tips and solutions for the Fashionistas out there. One such tip that is sure to delight the ladies and also professional makeup artists is this small cheat. You no longer have to apply multiple layers of mascara to your lashes to provide them with volume. All you need to do is take some waterproof eyeliner or Kohl and apply it to the rim of your upper eye lid. Remind you, not on the eye lid, but just on its rim. This is enough to give you Bambi like lashes, without making them heavy and scrudgy, with all that mascara. No you do not need a surgery every time you crave a fuller lip or that perfect pout. This is where make up comes to the rescue, without draining you of a few thousand dollars. One of the neatest tricks used by Roposo style-setters is by using light to their advantage. How do you do that? Roposo helps you come across the simplest of makeup tricks and cheats to get those perfect lips. Once you have applied lipstick to your lips properly, take some highlighting powder on your finger tips and apply right at the plump centre of your lips. Then slowly merge it in, to make it look seamless and you have instant plumper limps. One of the toughest challenges for occasional make up users is to get that base just right. The key to getting a smooth base lies with using your foundation correctly. Just mix a dab of moisturiser with your liquid foundation and swirl to bring to a warmer temperature. Then, smoothen, the mix on your face for a seamless and non cakey look. There are a whole lot of other make up tips and tricks that you will be able to look up on Roposo, thanks to all the professionals and veterans with their expert profiles. Join now to be shown around a whole new and inspirational in the world of fashion.